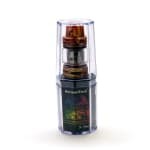 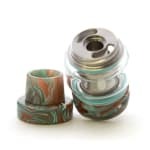 The Resin Artisan Edition Falcon from HorizonTech is a 25mm sub-ohm tank featuring a colorful resin body with quarter-turn quick open fill top, unique 510 drip tip, and 28mm bubble tank with massive e-juice capacity of 7ml. 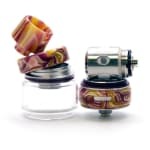 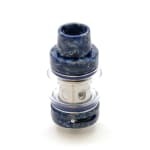 Includes 80-85W M-Triple and 70-80W M1 mesh coils with wood pulp and cotton blend wicks that promote flavor and coil longevity. 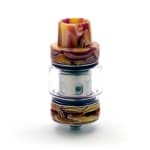 The Resin Artisan Edition Falcon from HorizonTech is a colorful 25mm sub-ohm tank featuring a resin body with quarter-turn quick open fill top and unique 510 drip tip. 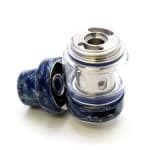 The installed 28mm bubble tank provides a massive e-juice capacity of 7ml, and a 5ml standard tank glass is included. 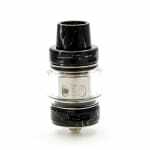 The 80-85W M-Triple and 70-80W M1 mesh coils included use a wood pulp and cotton blend that promotes flavor and coil longevity. 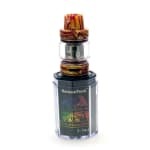 Triple adjustable airflow channels allow you to fully customize the draw.